When browsing the internet, your privacy is one of the most important concerns. There are a number of parties keeping track of your activities, locations etc. By tracking your browsing habit, experts are able to extract a great deal of your personal info. That’s why it’s the best to leave the least amount of trace possible at online. As a web browser, Firefox is a quite popular choice. It’s open-source, free and extremely powerful. Whenever you decide to login into your Facebook, Twitter or bank account, Firefox automatically prompts you to save your password. Saving your password on your browser is a risky thing to do. The browser password protection isn’t that powerful and as you’re visiting hundreds of sites every single day, it’s paramount to never let your browser manage your password. 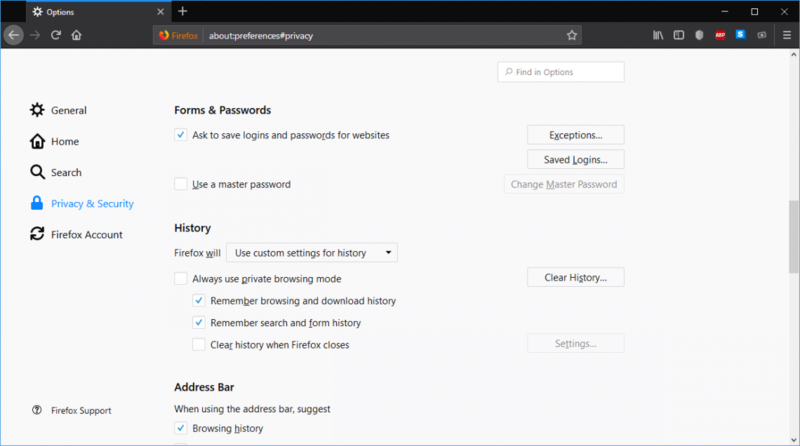 Today, let’s force Firefox to never save any password, ever. Of course, you don’t want your browsers to manage the passwords, right? You can simply choose “Don’t Save” or “Never remember for this site” option. However, any general user is bound to visit a number of websites, right? 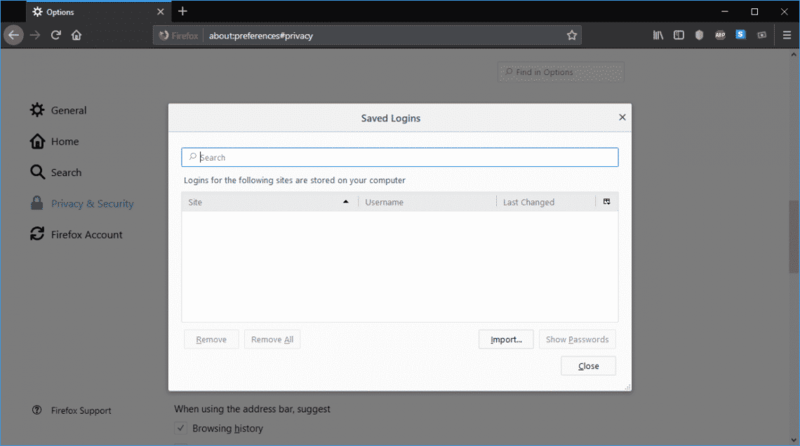 Go to Options >> Privacy & Security or go to “about:preferences#privacy” URL. Scroll down to “Forms & Passwords”. Uncheck the “Ask to save logins and passwords for websites” option. Don’t forget to check out the “Saved Logins” section. Make sure that it’s clean. From now on, Firefox won’t prompt for saving your password. Note – the next option should be handled with care as it may cause discomfort in your browsing experience. Whenever you login into various sites, a cookie(s) is created in the browser storage. 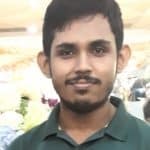 It allows your browser to stay connected to the site, letting you enjoy the service without entering your credentials again and again. You can force Firefox not to remember cookies at all. From the “Privacy & Security” option mentioned above, scroll down to “Cookies and Site Data”. Switch to “Block cookies and site data”. 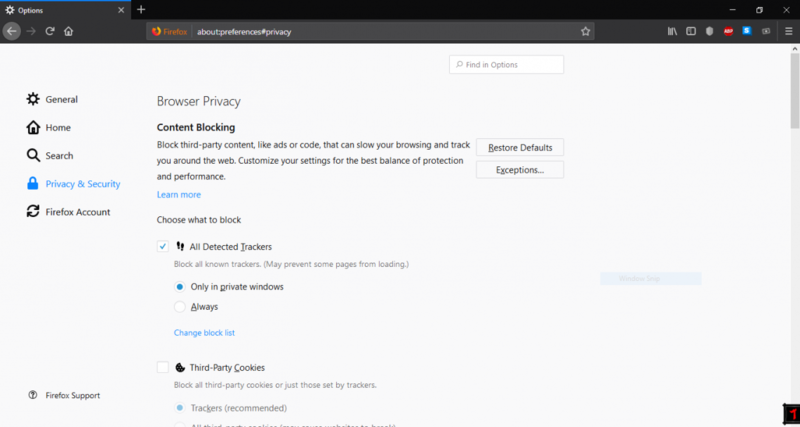 You can see the available list of cookies and site data to be blocked. The recommended action is “Third-party trackers”. From the “Keep until” option, you can choose how long those data and cookies can stay. “They expire” will allow the cookies and data to stay as long as they’re valid. The validation time limit can vary, generally years. If you choose “Firefox is closed”, all the site data and cookies will be destroyed as soon as you close the browser. Now, for privacy protection, there are a number of other credentials management software like LastPass. LastPass is a perfect virtual vault that can keep your data safe and sound using powerful encryptions. It also works perfectly with Firefox, so no need to worry about. Feel free to test out all the options discussed above to find out your suitable settings. Whenever possible, enable “2 step verification”. This will ensure that even with your password stolen, your account is safe and sound.